Whether it’s a high street shop, office block, factories or small business, Air Conditioning could be the perfect solution to your workspace comfort. 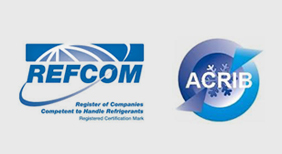 First Choice Air Conditioning can give you expert advice on what you will require to heat/cool your business. With super efficient air conditioning systems we can provide total climate control to your place of work. And once your new air conditioning equipment has been installed our dedicated servicing team can keep it working the way it should with a maintenance schedule. For friendly expert advice or a site visit to discuss your options please give us a call.